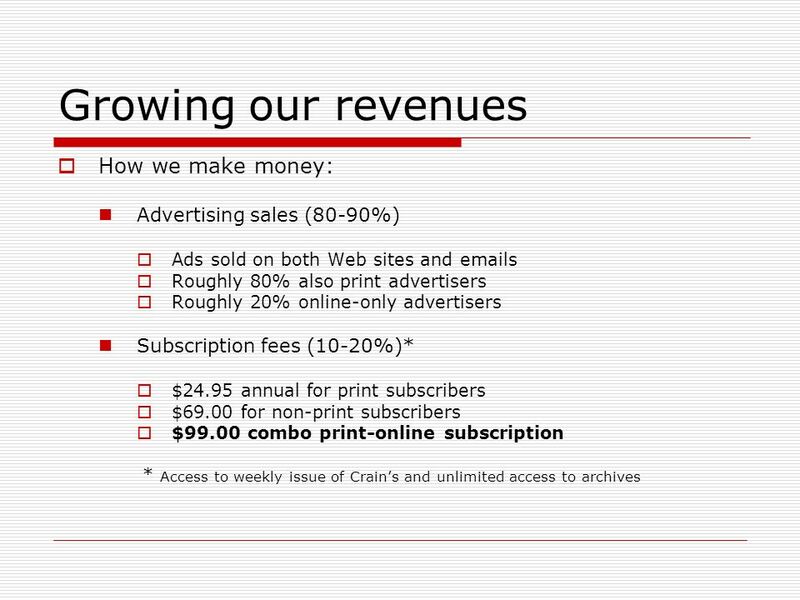 Managing Online Businesses Following the Growthand Dollars David Snyder Associate Publisher Crains Chicago Business. 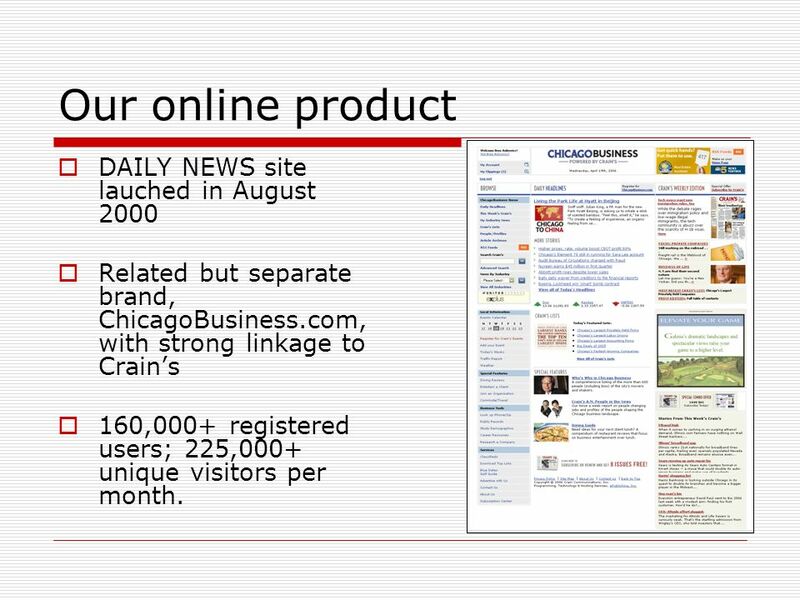 3 Our online product DAILY NEWS site lauched in August 2000 Related but separate brand, ChicagoBusiness.com, with strong linkage to Crains 160,000+ registered users; 225,000+ unique visitors per month. 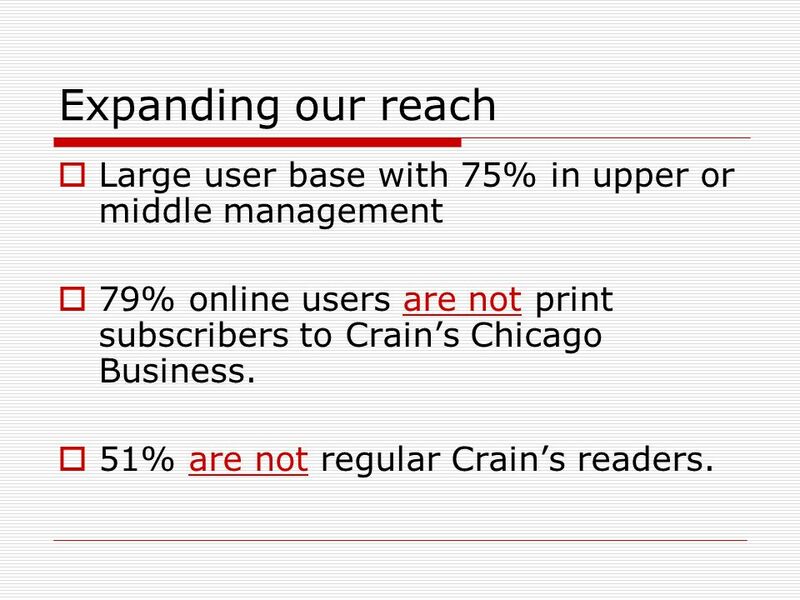 5 Expanding our reach Large user base with 75% in upper or middle management 79% online users are not print subscribers to Crains Chicago Business. 51% are not regular Crains readers. 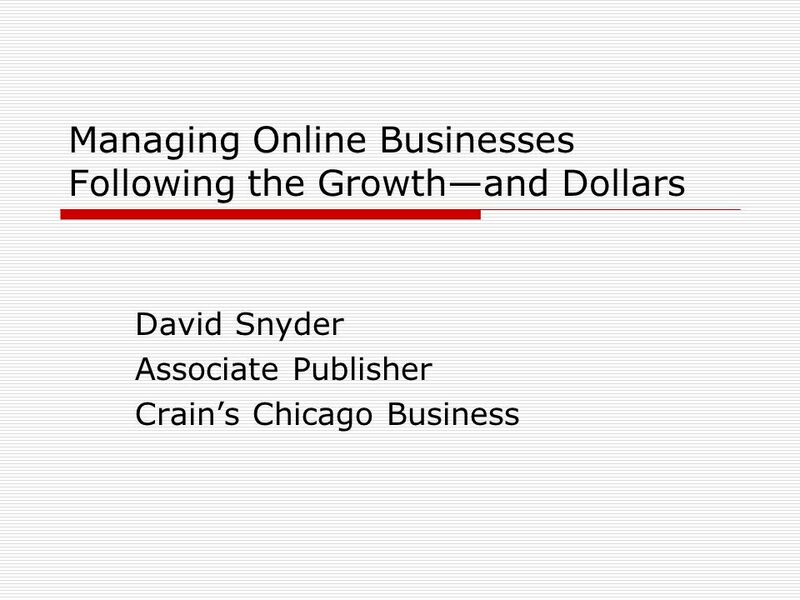 Download ppt "Managing Online Businesses Following the Growthand Dollars David Snyder Associate Publisher Crains Chicago Business." 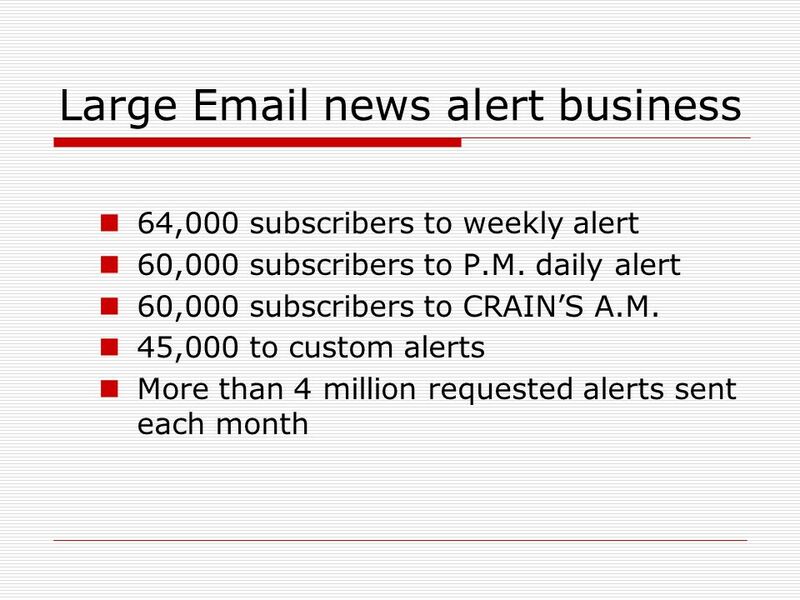 The Next Communication Channel: Mobile Marketing and Beyond Leverage SMS to Grow Databases and Revenue! 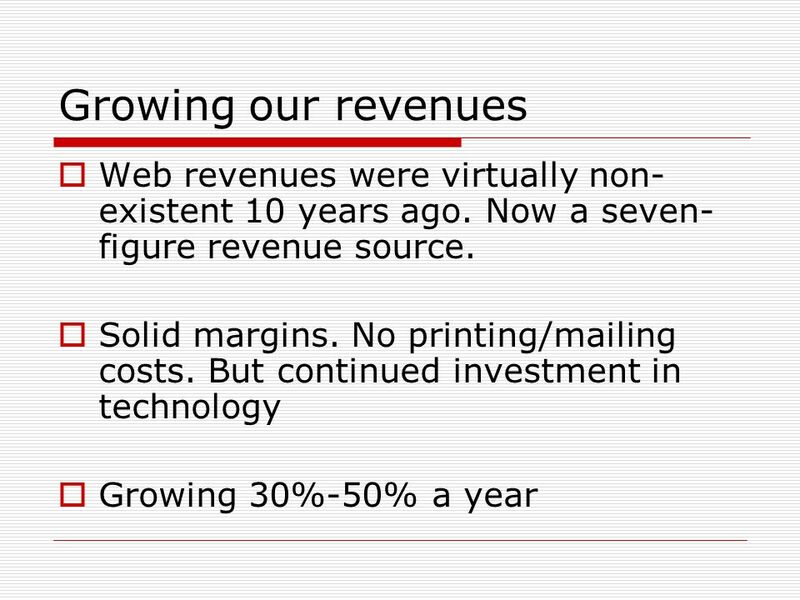 NLP-CO Online Marketing Plan August Overview as of August 5, 2008 Google Ad Campaigns OUTCOME: Fund advertising and expand database (Current ___. O TD 2.0 Promotion and Launch. 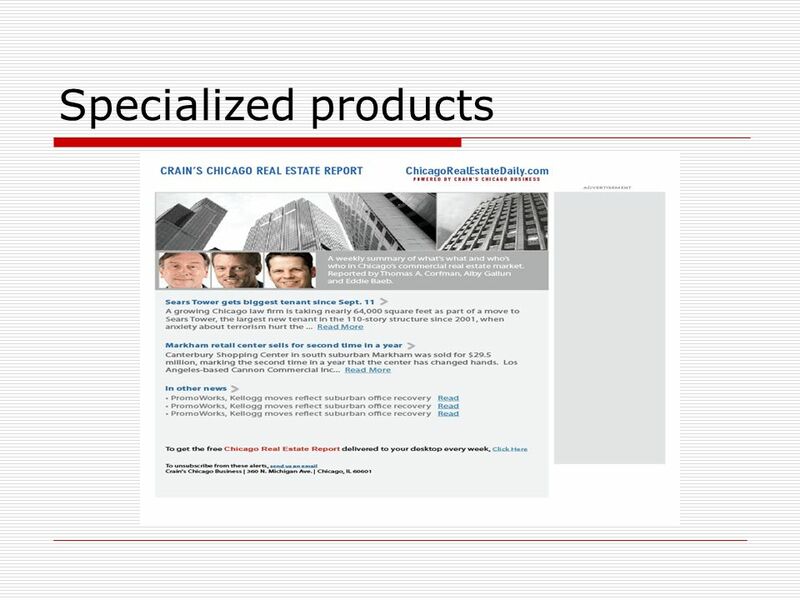 Background to TD 2.0 WD 2.0 launched last year was very successful in driving traffic to download new reports and to. THE INTERNET 101THE BUYING FUNNELCOMMON CONCERNS ONE SOURCE. VenturaCountyStar.com VenturaCountyStar.com an Outline The Internet 101 A Crash Course Demographics. R a m b l e r internet mobile television Rambler Media October 2006 Capitalising on the fastest growing media market and online community in Europe. 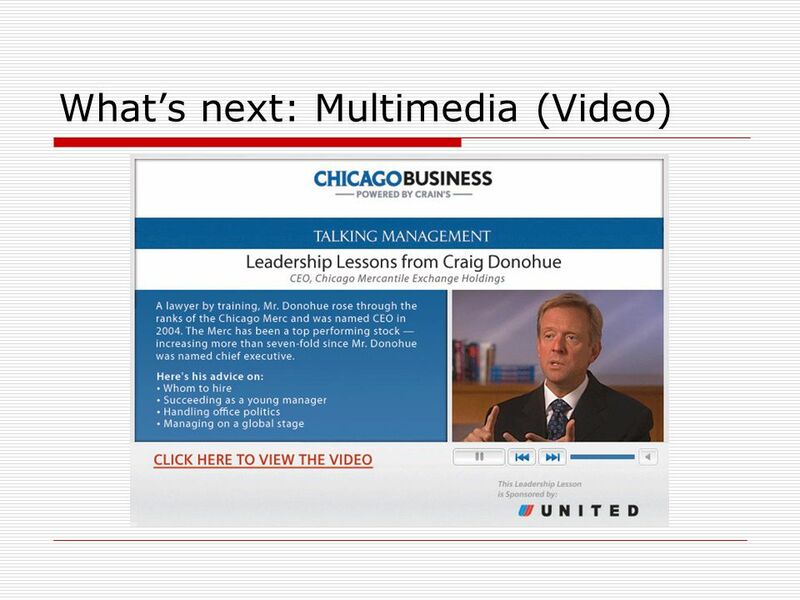 New/Interactive Media Planning Chapter 9. 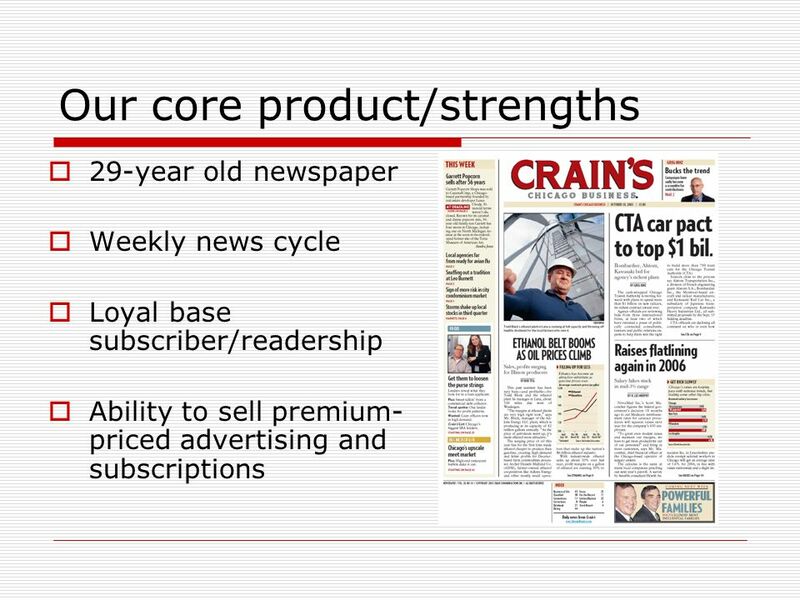 What is New Media New Media is the utilization of digital technology to communicate with a target audience. Publishers panel - Rocky Mountain SLA - November 21st 2002 Miriam Gilbert Liz Haigh Rolf Janke Mary Waltham. 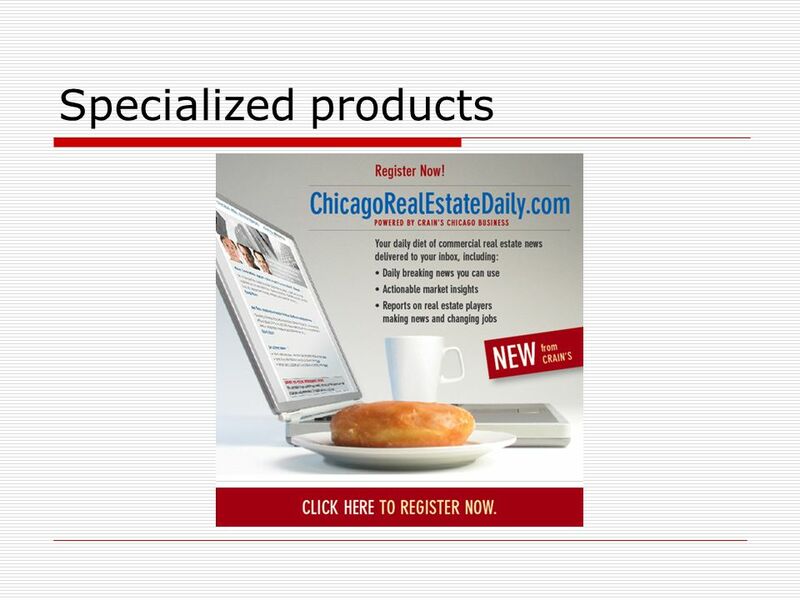 Advertising on Social Networking & Community Sites October 29, 2007. 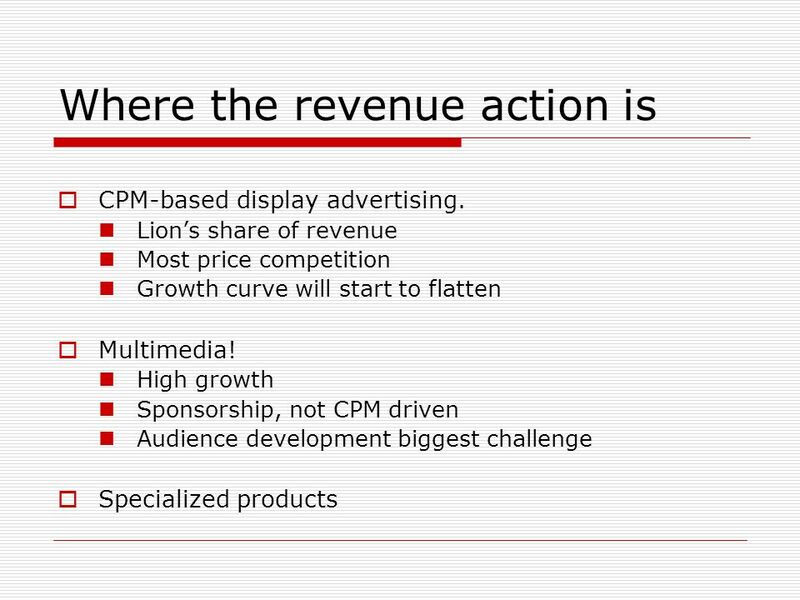 Media-Mix & The Natural Laws of Advertising. 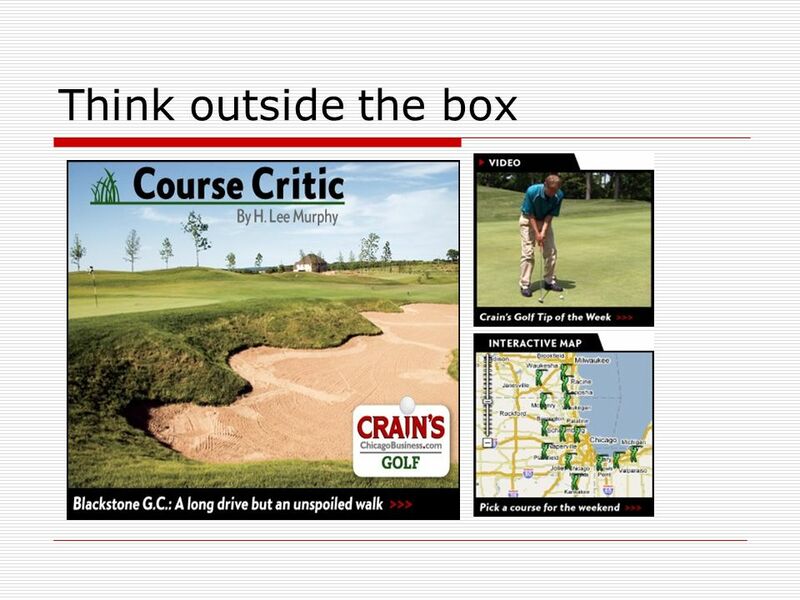 One Iron Law of Advertising Ad dollars follow consumers. Ad dollars follow consumers. Often this Iron Law. Sales and Site Survey Spring 2005 Client Release Date – July 2005. 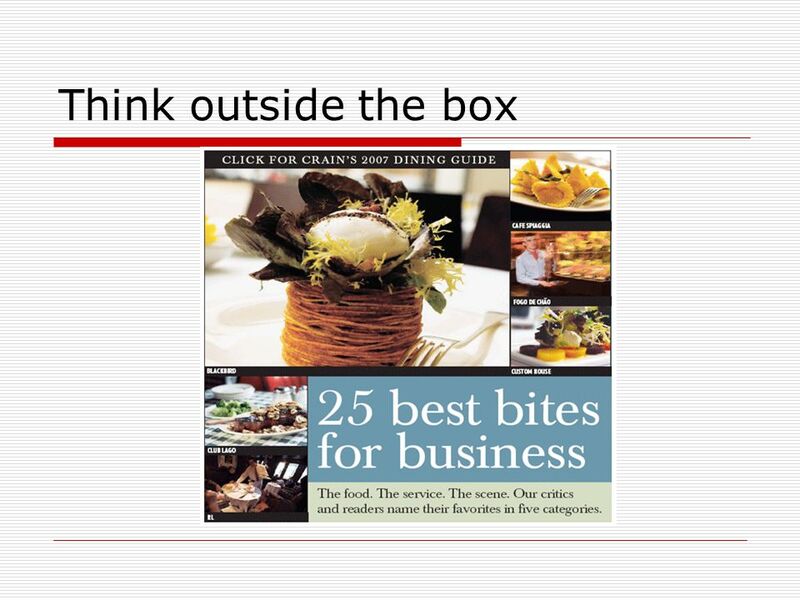 Dash of Lime is the sales team brand name for Primedia Online and 365 Digital. Primedia Online is the online arm of the Primedia Group. The company is.